Joseph Tsirakkis LLC is a Cyprus based Law firm, focusing primarily on the provision of advisory services to financial institutions and business corporations. Our understanding of clients´ concerns enables us to deliver the quality of advice and service they expect. Our practice areas are led by prominent legal practitioners. All of them combine an international outlook with an in-depth knowledge of the market and a commitment to delivering the best result. Main goal is to craft powerful solutions, tailored to the needs of our clients. We provide legal services throughout a variety of practice areas, helping clients address and anticipate challenges across vast and rapidly changing landscapes. We approach every representation with an equal commitment to first understanding and then efficiently and effectively advancing the interests of our clients. Our goal is to build and maintain long-term client relationships. By solving efficiently complex issues, we ensure that all of our clients accomplish their objectives and instinctively turn to us as their lifetime counselors. The purpose of our legal support is to add value to the client’s business and not unnecessary cost. Once we familiarize ourselves with the issue under consideration, we offer suitable and affordable solutions, maintaining at the same time the high quality of our work, without being affected by the commercials of our engagement. Our firm’s capabilities expand beyond national borders, meeting our clients’ needs in every possible location. Through our network of affiliated law offices around the world (i.e. London, China, Hong Kong, Russia, Switzerland, UAE, Israel, Greece, various off-shore jurisdictions), we can handle cases and transactions with international elements and characteristics. Each and every member of our Law firm has a set of high values and skills, creating an effective and resourceful team. We continuously expand our horizons and professional expertise in order to adapt to our ever- changing legal, economic and commercial environment as well as to our clients’ diverse needs. Our team consists of individuals with vast experience on Compliance and AML matters. Throughout the years we have managed to build a strong clientele of both start-up companies but also world famous corporations leading the financial industry. For that reason we make sure that all of our associates are approved by CySEC and/or the FCA as Compliance and AML Officers. All of them are carrying unique expertise which can be utilized for the needs of your firm. Both Cyprus and the UK constitute a hub of financial services. Therefore, we offer a variety of licensing solutions related to AIFs/AIFMs, Investment Firms, Gambling Firms and ASPs. Our long experience in the industry guarantees the success of our solicitation. We run the application from A to Z and at the same time we assist on recruiting employees, selecting office space and drafting all internal manuals and agreements. We stand by your side until the license is obtained and the firm is ready to commence operations. Globally, our track record includes successful applications to countries like Germany, Bulgaria, Malta, China, Cayman Islands, Vanuatu, Seychelles, Belize, BVI, St Vincent and the Grenadines etc. Joseph Tsirakkis LLC provides advisory services on various topics related to the incorporation and operation of any type of company. We select with you the appropriate structure, draft all the required documentation, carry out all necessary administrative procedures and assist with any licenses and permits required for its operation. We are also there to facilitate its subsequent smooth operation by providing updates on legal and tax compliance issues. With great accessibility to all EU member states, excellent infrastructure and numerous governmental incentives, Cyprus is a strong financial and business hub, which makes the acquisition of Cyprus Citizenship appealing to foreign nationals. However, obtaining Cyprus’ residency and citizenship is a complex procedure. In order to simplify things, we offer a complete package of services, including consulting on the Cyprus’ market, drafting contracts and agreements, collecting documents and submitting the application. We further act as a liaison with authorities during the examination of the application. Our firm advises international companies active in Cyprus on a daily basis on a wide array of commercial issues ranging from simple lease, sale and purchase contracts, to sales below cost, marketing strategies, license, agency, distribution, joint venture, mergers and acquisition agreements, legal opinions and due diligence reports. Our understanding of the strategic importance and complexities of intellectual property in cross-border and multinational business operations, allows us to provide services which cover the whole spectrum, namely indicatively trademarks, patents, industrial designs and registrations on national, European and international level. Our services include drafting of contracts and licensing agreements relating to intellectual property rights (assignment, license to use, exploitation licenses). We can also assist clients in disputes arising from the infringement of trademarks including anti–counterfeiting, copyright including piracy, technology, database and design rights, and complex unfair competition and patent actions. Tax legislation is a very dynamic area of law in Cyprus that is constantly and rapidly changing as a result of the implementation of new laws and regulations. Our tax team advises high-net worth individuals on a broad range of tax issues and offers a tailored solution based on the individual needs. Our services include consultation on tax efficient structures for investing in Cyprus, tax advice on an ongoing basis and assistance with the interpretation and implementation of double-tax Treaties and the EU tax legislation. Through our wide network of professionals in the legal and financial services industry, we are able assist you on any enquiry you might have. You set the vision, we set the values and together we progress. Joseph is specialising in the fields of corporate law and financial compliance with years of working experience in the financial industry as a legal advisor. His past experience includes managing the London office of a leading Cyprus advisory firm, where compliance, licensing and regulation consulting services were offered. He started his career as a corporate barrister, with a special interest on litigation and corporate law. Joseph obtained his bachelor degree from the National and Kapodistrian University of Athens and holds an LLM in Banking & Finance Law from the University of London. 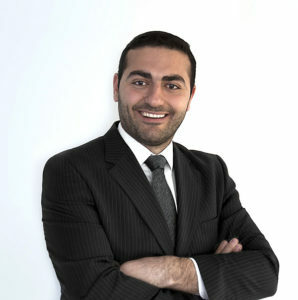 He is a member of the Cyprus Bar Association and previously approved by the Financial Conduct Authority as CF10/CF11 (currently inactive) and by CySEC as an advanced examination holder. He also holds various Executive and Non-Executive directorships in investment firms. If you are looking for a new challenge and you are a person full of enthusiasm, talent and high motivations, then we are glad to welcome you to join our team and be part of our success story.